The state Attorney General's office announced today that it's reached a settlement with Spectrum/Charter* for denying "customers the reliable and fast internet service it had promised." The company will pay out more than $62.5 million to more than 700,00 customers and provide in-kind benefits said to be worth more than $100 million. (3) Subscribing to a Time Warner Cable legacy speed plan of 100 Mbps or higher. b. Charter to award an additional $75 refund to each of over approximately 150,000 subscribers who had an inadequate modem for 24 months or more. Charter will notify subscribers of their eligibility for refunds and disburse them within 120 days. Charter will also be offering three free months of HBO or six free months of Showtime to customers who currently get internet and TV from the company. And internet-only Charter subscribers are set to be offered a free month of Charter's Spectrum TV Choice streaming service. 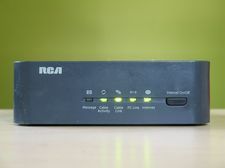 Refunds said, the situation surrounding this settlement highlights the larger issue that many people have little or no choice when it comes to internet service. That might be changing as wireless companies start to roll out the next generation of very fast data service. But it's one of the reasons that the idea of municipal internet pops up now and again in places such as the city of Albany. * Spectrum is the brand backed by Charter, the company that acquired Time Warner Cable in 2016. ** You can buy your own and not pay Spectrum monthly for them, which can save you some money. The Wirecutter has suggestions. 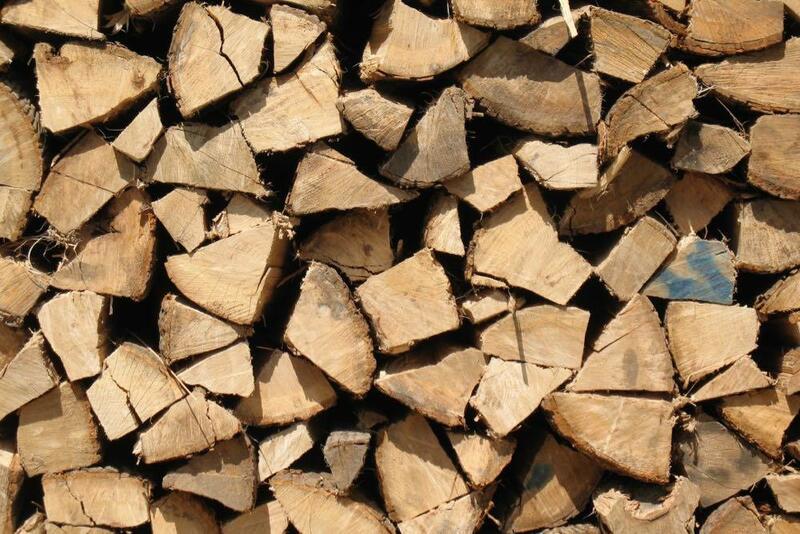 I'm looking for a reliable source of high quality seasoned firewood. Does anybody have a firewood guy they would recommend? Delivery preferred but not necessary. Price per face cord? Thanks for you input, Folks! Have to admit: We know next to nothing about buying firewood. So we're curious if people have not just a place in mind about where to buy firewood, but also maybe some thoughts or tips about what to look for. So, got a suggestion for Wade? Please share! And a sentence or two about why you're recommending a place can be helpful. 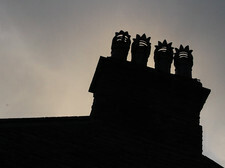 I am looking for a chimney inspector to perform a level 2 chimney inspection (with video inspection). It's been challenging this time of year to find someone with availability, and some companies have not returned my calls. 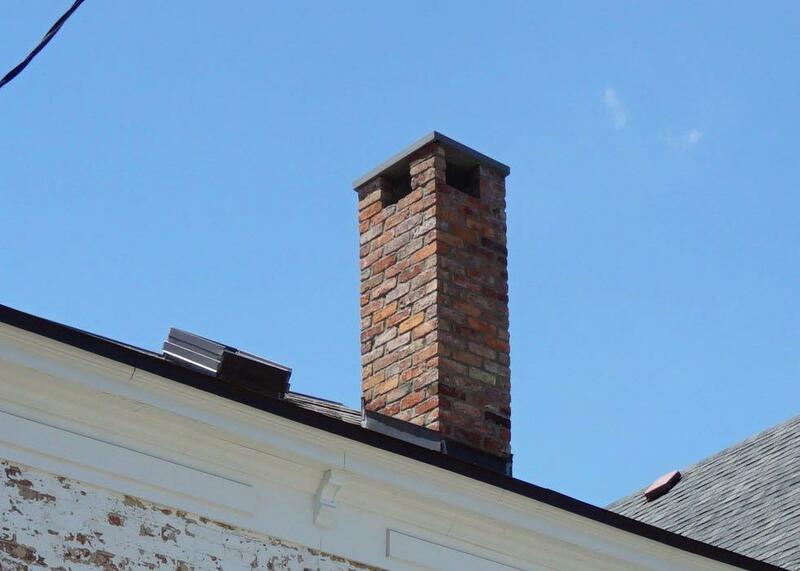 I would like to find a chimney business that is properly insured, CSIA certified, knowledgeable about gas insert fireplaces, and, of course, experienced. Hoping to hear from people who have had good personal experiences ... as there are a lot of very mixed reviews out there about chimney/masonry companies. It's understandable this is a busy time of year for this sort of business and may involve a wait. But if you're going to be using a fireplace, it's also worth having the chimney checked out. So, got a suggestion for this new home owner? Please share! And a sentence or two about why you're recommending a service can be helpful. Where to get some design help for fixing up the landscaping around a house? I moved into a home with overgrown and misplaced landscaping. 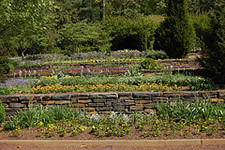 I'd like to resuscitate some plants/shrubs, relocate a few, remove a bunch and supplement to fill in any missing spots. Problem is that I need someone with an "eye" for landscape design to help (and to understand my goals). I found the landscaping companies expensive and more interested in selling me a new "package" rather than work with and supplement what is here. My thought is that I need someone to design the gardens (location, types and location of plantings) and I could do the grunt work. Jon notes that, obviously, we're at the end of the season for this sort of thing. But now is actually not a bad time to start planning a little bit for next spring. Fixing up the landscaping can make a big difference in how a house looks. Sometimes just cutting back (or taking out) old, overgrown bushes will make things look a lot more inviting. Also: You'll probably win a few points with your neighbors. And people often how like to chat about that kind of thing when you're out working, so it's a nice opportunity to meet people in the neighborhood. We had a somewhat similar question years ago for a large backyard project, but things change and it sounds like Jon doesn't need anything on that scale. It might be enough to just snap a few pics and show the people at a local garden store and they might have some good ideas. So... got a suggestion for Jon and his yard? Please share! And sentence or two about your suggestion can be helpful. It feels good to fix things. Toward that end, Repair Cafes will return to both Schenectady and Castleton this Saturday, October 13. Repair Cafe? It basically an event at which community members help other community members repair household items. For free. The Repair Cafe idea started in the Netherlands and has since spread around the world. Examples of some of the items you can bring to be fixed include: small electric appliances (especially lamps and vacuums,) furniture/wooden objects, clothing/textiles, dolls/toys, phones, computers, tablets, jewelry, watches/clocks, ceramics and general mechanical (small items only, no gas powered machines). 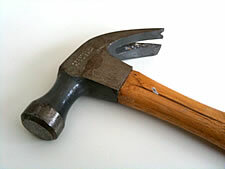 There is a limit of two items for repair per household. The event at the SCPL Central Library is Saturday from 10 am-2 pm. And if you'd like to be a repair coach, contact coordinator Dave West (westfir50@gmail.com). The Castleton Repair Cafe is Saturday from 11 am-3 pm at Village Hall (85 South Main Street). "What do you do with a broken lamp? Or a sweater with a hole? Toss it? No way! ... People visiting the Repair Café bring along their broken but beloved items. Volunteers try their best to make repairs, and it's free of charge!" See the link for details about how to help be a repair coach. There's a regular Repair Cafe at the Saratoga Public Library. It looks like the last one was in late September. And it was popular -- 58 people brought in 102 items, according to Sustainable Saratoga. Keep an eye on the org's Facebook page for the next Repair Cafe. Bat in the house? Capture it. A state Depatment of Health video about how to capture a bat in a home. Albany County Executive Daniel P. McCoy today is reminding residents to protect themselves from rabies by safely capturing any bat found in their home and bringing it to the Albany County Department of Health to have it tested for the disease and avoid any unnecessary vaccinations. County residents are encouraged to use the below steps to safely capture any bats in their homes so they can be tested for rabies in a lab. If you are unable to trap it, you should be vaccinated at the Albany County Department of Health at 175 Green Street, Albany, NY 12202. • If indoors, close all windows, room and closet doors, turn on the lights and wait for the bat to land. • While wearing heavy gloves approach the bat slowly and carefully and cover the bat with a pail, coffee can, or similar container. 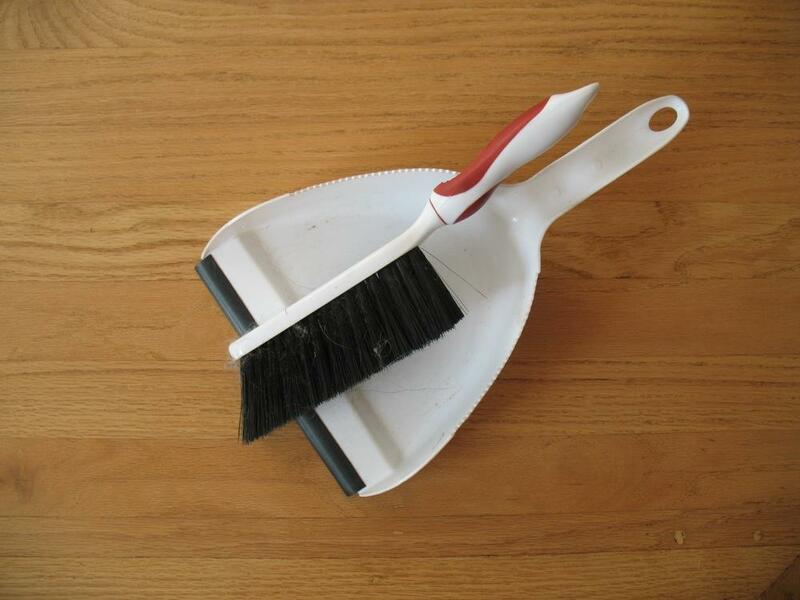 • Slide a piece of cardboard or lid under the container to trap the bat inside and tape the container shut. Residents can "batproof" their home with polypropylene bird netting, fly screening, sheet metal, wood or various caulking compounds to close or cover openings that allow entry for bats to roost. House bats can pass through crevices as thin as a pencil. As the press release notes, a small percentage of bats have rabies, but it's hard to tell which ones do by appearance and the consequences can be serious. Repair Café is a neighborhood initiative that promotes repair as an alternative to tossing things out. At a Repair Café, community members can bring their broken but cherished items to be fixed on the spot, for free, with the help of volunteer repair coaches. At the library's first Repair Café over 80 beloved items were repaired. "Many of the things that are fixed have deep emotional meaning to the people who bring them in. We don't just fix treasures-- we sometimes mend broken hearts, too" says Repair Café Schenectady founder Dave West. A roofer for row houses? I reviewed the past comments about roofers, but we have a specific need - for a row house. 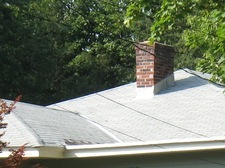 Does anyone have suggestions for roofers for this type of roof? We have heard in the past that roofing, painting, and similar sorts of jobs on row houses can be a little different for contractors because they sometimes require different staging, just because there's not the same sort of access. So we're curious if there are roofing contractors with a lot of experience doing this sort of job. Got a suggestion for Nancy? Please share! And a sentence or two about why you're recommending a contractor can by helpful. 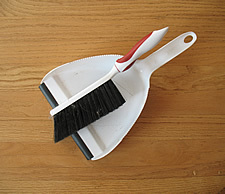 A good cleaning service for occasional visits? Before kids, our idea of splurging was going out to a fancy dinner or a weekend away. After kids, it has now turned into dreaming about what a clean house might feel like. That being said, we were wondering if any of your readers might be able to recommend a cleaning service that we could treat ourselves with from time to time. So, got a suggestion for a cleaning service? Please share! And a sentence or two about why you're recommending a service, or about some aspect like cost, can be helpful. 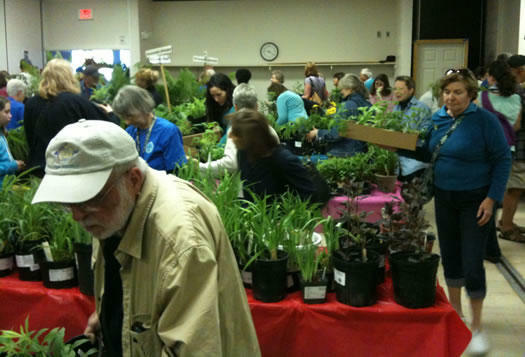 The garden education day/plant sale at the Cornell Cooperative Extension in Voorheesville is always popular. It's May! And it's finally warmed up! 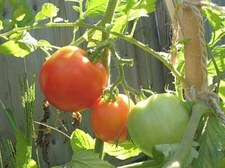 And it will soon be time to start planting tomatoes, peppers, and other warm-weather plants in the garden. There are a bunch of plants sales around the Capital Region coming up over the next few weeks to help you fill out your garden -- or container on a deck, or window box, or wherever. 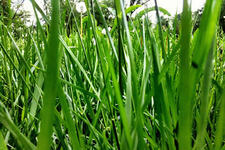 Hi, I could use a recco for a trusted local contractor for lawn fertilization & treatment; *not* mowing or clean-up. I had planned to contact Lawn Dawg, but they've sold to TruGreen, and I've heard anecdotally the service has declined. Any suggestions? Thanks! Got a suggestion for Michele? Please share! And a sentence or two about why you're recommending a service can be helpful. The first Repair Café organized by Martine Postma in Amsterdam (the one in the Netherlands) in 2009. That clip embedded above is from one of the events in the Netherlands and includes a short explainer from Postma. Such is the modern world that a lot of stuff around the house gets thrown out when it's stopped working instead of being repaired. But there's movement called the Repair Cafe that's trying to fix that (pun totally intended). The basic idea is that people bring in their broken household items to community events and volunteer repair coaches help with the repairs. For free. The first Repair Cafe Schenectady will be in the McChesney Room of the central library (99 Clinton Street in downtown Schenectady). "Examples of some of the items you can bring to be fixed include: small electric appliances (especially lamps and vacuums,) furniture/wooden objects, clothing/textiles, Dolls/toys, jewelry, watches/clocks, bicycles, ceramics and general mechanical (small items only, no gas powered machines.)" Repairs are limited to two items per household. There will also be bike tune-ups from the Electric City Bike Rescue. The Castleton Repair Cafe will be at the village hall (85 South Main Street). "This month, electrical, welding and seamstress services are featured (such as repair of lamps, vacuums, metal, clothing), but bikes, toys, crockery, furniture are also possible... anything that is broken is welcome." Both events are also on the lookout for volunteers -- see the links for how to contact organizers if you have some know-how you'd like to share. We'd just add based on our own experience: Fixing a broken household appliance yourself can save money -- but it also feels awesome. The sound of a broken refrigerator whirring back to life or the coffee maker burbling again is the sound of accomplishment. If it wasn't already clear, I'm going to out myself now as a huge dork. 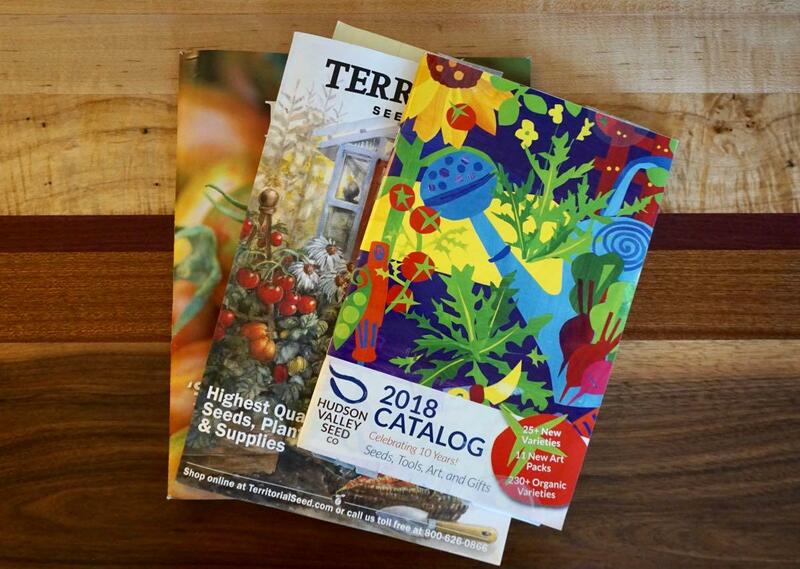 During this cold, wet, gray upstate transition between winter and spring one of my favorite activities is to... page through seed catalogs. Yep, I like to read about vegetables. And fruit. And flowers. But it's mostly about the vegetables. And it helps. Maybe it would help you, too. Options for re-glazing a bath tub? I'm looking for local recommendations to have my bath tub re glazed. I've tried googling options, but only find bath fitters. Would love to opportunity to have folks submit recommendations on All Over Albany! We had a similar question a few years back that focused on antique tubs, but it sounds like Jillian's situation is a little more straightforward. Re-glazing can help a tub look new(er) again, or switch out some 60s era tone for something more modern. Though we're curious how the cost compares to just getting a new tub. So, got a suggestion for Jillian? Please share! And a sentence or two about why you're recommending an option or contractor can be a big help. Repair options for an old slate roof? My early 19th century slate roof needs repairing. I know that you posted this question in the past but it was 7 years ago and some of the suggested contractors have retired or are out of business. This has proven to be a difficult search considering the amount of slate roofs around the city. Thanks! Bonus points to Allison for checking if someone has already asked this question. And we're happy to post it again given the time that's passed and, it sounds like, how things have changed. Good a contractor or suggestion for Allison? Please share! And sentence or two about why you're suggesting a contractor can be a big help. A good snow removal service in Albany? Would you be willing to ask your readers to recommend a reliable, reasonably-priced residential snow removal service in Albany? Thank you. We've had a similar question in the past, but things change. Businesses close, businesses open. So, got a suggestion for Laura? Please share! And sentence or two about why you're recommending a service can be helpful. Interior designer or decorator suggestions? Can you ask your readers to recommend any interior decorators or designers they have worked with? I am looking for some help for my living room, but don't want to commit to buying everything at once, so a focus on someone I can pay to help me with a plan that I can implement over time would be great. A designer can be an added expense for a home project. But we're often pleasantly surprised by how a talented designer can look at a building/space/place and see solutions, angles, and ideas a non-designer might miss. And if you buy a home that needs a lot of updating, being able to talk over a plan with someone who does this often could be a help. So, got suggestion for Christina -- whether it's a designer or some other sort of resource? Please share! And a sentence or two about why you're recommending a person/service can be a big help. Earlier: Help with kitchen renovation design? Where to get furniture repaired? I was wondering if you could please ask your readers if anyone knows of a place to get furniture fixed. I have a wooden chair that broke and I prefer to not throw it out. We had a similar question years ago, but things change. Businesses close. Businesses open. Businesses move. Also: So much stuff now seems to be made with the intention of being disposable, either by design or carelessness. It's kind of gratifying when you actually fix something and extend its life. So, got a suggestion for Theresa? Please share! And sentence or two about why you're suggesting a place can be helpful. 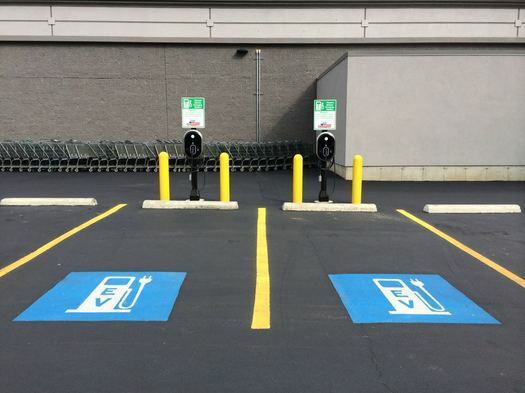 Where to get a hybrid or electric car serviced? I've been on the hunt for a mechanic that specializes/is-well-versed in electric/hybrid cars, but have failed to bag anything. P.S. Dealerships are sure to be the knee-jerk answer to this, but, you know, they're dealerships. This is something we hadn't really thought about before. And the fundamental question Mark seems like a good one: Is a hybrid or electric car "just" like any other car when it comes to getting it serviced, or is there special expertise involved. So, got experience or thoughts or a suggestion on this topic? Please share! If you're recommending a shop, a sentence or two about why you're recommending a place can be helpful. A good wash-and-fold service in Albany? My wife and I just moved to an apartment building in center square with not great laundry facilities. In the past, we have used wash and fold services to save time. I would do some research myself, but high prices and the wide availability of laundromats make experiments complicated. There are a handful of reviews on the internet, but they provide inconsistent data about quality, price, forms of payment accepted, etc. Delivery is not a big deal in our case, but great to have the option. Any thoughts or recommendations you have will be appreciated! Thank you. It sounds Danny and his wife are looking for a place around the Center Square/downtown Albany area, but delivery would probably widen that range. So, got a suggestion for them? Please share! And sentence or two about why you're recommending a place can be helpful. 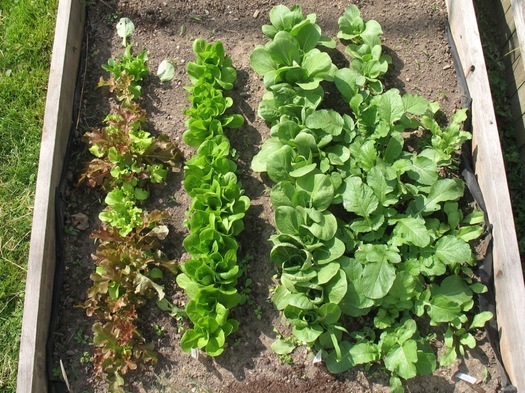 Now is a good time to get started on garden plans for the spring and summer -- whether it's just a few flowers, tomatoes in containers on the porch, or raised beds in the backyard. Toward that end there are a whole bunch of garden classes / info sessions / talks coming up around the area, on topics ranging from vegetable gardening to composting to garden planning to street trees. This looks like some quality fuel for stoking those backyard gardening / DIY / I've-had-enough-I'm-moving-to-a-farm dreams. In our classrooms and labs, SUNY Cobleskill faculty will teach organic gardening, home brewing, composting, mushroom growing, yogurt making, apiary management, and more. With three levels -- 1.5-hour Introductory Courses, 3-hour Skill Builders, and a 6-hour Intensive -- everyone from novice to experienced homesteaders will find a course to suit their interests and skill levels. The conference will be accompanied by a specialized vendor fair featuring goods and supplies that complement the workshops, such as brewing equipment, apiary supplies, animal feed, and orchard necessities. Among the workshop topics: square foot gardening for maximizing production in small spaces, home brewing, backyard poultry, family livestock herds, composting, making sausage, fruit and berry orcharding 101, wild edibles, homemade ice cream, and homemade yogurt. Conference registration is $60 / $72 with lunch and available online. And the website notes that space is limited in each workshop. A good contractor for installing a fence? I'm writing to ask for any recommendations for fencing companies. I know there are a number of options in the Albany area but I'd like to get a recommendation from someone who's had good experience with a company. The AOA community has been great with other topics so I thought I'd give this a shot too. Thanks! As Erica mentions, there do seem to be at least of handful of companies out there that install fencing. So if you have suggestions, great. To extend Erica's a question a little bit... We're also curious if there are companies that specialize in various types of fencing, whether it's wood or metal. 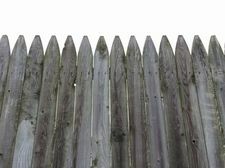 Or if there are companies that tend do a lot of work on styles of fencing that go beyond the typical stockade style or chain link. So, got a suggestion for Erica? Please share! And as with any question like this, a sentence or two about why you're recommending a company can be a big help. Stained glass window repair in a home? 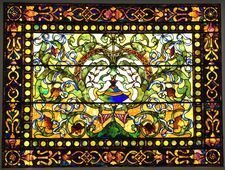 I am looking for someone who repairs stained glass windows and don't know where to begin. I got name of one vendor, but they mainly work on large windows, such as those in churches. We have a 1930 home with small stained glass windows. They are starting to come apart. It looks like a previous owner attempted some home repair on them. I don't know if the windows are salvageable, especially withe the bad repair job, but I really want to try to repair them rather than replace them with cheesy contemporary windows. Do your readers have any recommendations? There are a bunch of older homes around this area with small stained glass windows. In the city of Albany, at least, you can often find the windows on either side of the fireplace. So, there's gotta be someone who can repair these sorts of windows. Got a suggestion for Susan? Please share! And a sentence or two about why you're recommending a person or service can a be a big help. A service for cleaning hard-to-reach exterior windows? I'm trying to have my windows cleaned (outside), but they are difficult to reach, neither my friends or myself are comfortable climbing up there. I searched on AOA, but it doesn't seem this question was ever asked (?). If you think this would be of interest to somebody else, and if it's not too specific for AOA, I'd love to hear from people. S. is right -- we haven't had this question before. And we're a little surprised it hasn't come up before. Given all the old homes in this area (with old windows), there are probably quite a few people for whom cleaning the outside of their upper-floor windows isn't an easy thing. So, got a suggestion for S. -- either a company or an idea of how to solve the problem? Please share! And as with any question likes this, a sentence or two about why you're recommending a company can be very helpful. Design help for renovating a small kitchen? We are wondering if you can help us with recommendations from your readers about kitchen designers locally. We have an old brownstone with a very oddly configured kitchen, and want to do some upgrades. We need help maximizing the space and achieving the look we want. 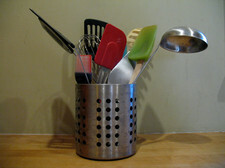 Would your readers have any insight on a kitchen designer creative enough to do this? We're not looking for the typical overbuilt Chef's Kitchen, but rather a modern take on a smaller space. We had a similar question a few years back. But we're interested in the small space/odd space part of D.'s question. There are so many older homes in this area with kitchens that are, by modern standards, small or cramped or just lacking certain amenities that people often look for now. So we'd love to hear how people adapt and update these spaces. Got a suggestion for D.? Either a designer to recommend or resource to check out or even an experience to share? Do tell, please! And a sentence or two about why you're recommending a place or designer can be a big help. Suggestions for a tile installer (including one who might not mind an assistant)? 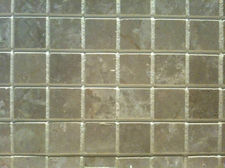 I'm looking for a tile contractor to do a small kitchen (16x16') and bathroom in Troy. I have the tile picked out, but need an installer. Looking for someone who is responsive, has some availability this month, and reasonably priced. I'd also be interested in working with someone that would let me participate in the work and learn for myself how to do it. We had a similar tile question a few years back. But Jessica's interest in finding someone who'd let her work alongside and learn is a a different angle. And it makes us wonder if maybe the right candidate won't be a traditional contractor. Got a suggestion for Jessica? Please share! And a sentence or two about why you're recommending a person or business can be a big help. We've lived in our house 10 years, and are in need of some help. We are a family now, with all the 'stuff' that comes with that, and just cannot figure out how to make a more grown up house that uses space well and files away all the paperwork of elementary school. 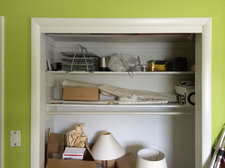 Are there local decorators/organizers folks can recommend? Is that a real thing?! We're always amazed by how people who have eye for design can rearrange a space to make it work better or just feel better. Got a suggestion for Melissa? Please share! And a sentence or two about why you're recommending a person or service or idea is always helpful. We have a bathroom renovation coming up and I found an antique clawfoot tub to use in the bathroom. It needs a little TLC - can anyone recommend someone who specializes in re-glazing and restoration? Bonus points if they have experience with antiques! 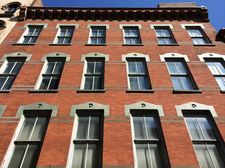 The first idea that came to mind when we say Courtney's question was that a call to Historic Albany parts warehouse might be a good place to start -- they might have some suggestions. But if you have a specific service or contractor to suggest, even better. Got someone in mind? Please share! We have a few "honey-do" items around our house that need more than a amateur touch, but not a full blown "Bob Villa" contractor with a camera crew. Items such as grout work/repair, installing a grounded outlet, painting trim and a bilco door, some repairing of concrete work... I need someone I can trust, who is reasonable, but not a fly by night operative. Suggestions? We get the impression it's hard to find someone to do these sorts of in-between level jobs -- maybe a little more complicated than a Saturday DYI project, but not big enough for a big contracting company. So, got a suggestion for M? Please share! And a sentence or two about why're suggestion a person or company can be very helpful. 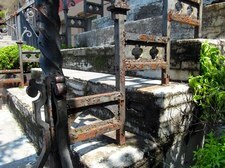 I'm looking to have my stoop replaced, and I was wondering if I could summon the AOA crowd to find a good contractor. There are a bunch of neighborhoods in the Capital Region where the buildings have stoops. And while it's a feature that no doubt lasts decades (or should), at some point things do crumble. So presumably there are contractors with expertise in rebuilding them. Also: We wonder if there are contractors that specialize in building/replacing stoops in historic districts? Got a suggestion for S? Please share! And a sentence or two about why you're recommending a contractor can be very helpful. A few times a summer we get water in our garage, and then our house, during heavy rains. After watching what happens (it's kind of hard to explain) we're now pretty sure we need a new driveway with new grading and maybe some additional drainage work. 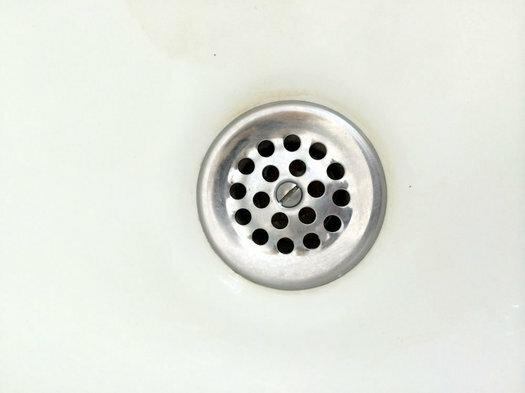 Maybe also an actual drain. Maybe some foundation work. We don't know for sure. Previous homeowners took some steps to address the problem and it seemed to help a bit, but we want to fix the problem for good. We don't know exactly what sort of contractor we need. So we're hoping people might have suggestions. Both for type of contractor, and also for specific companies. Thank you. As always with these sorts of questions, a sentence or two about why you're recommending a contractor can be a big help. Got a suggestion for Anon? Please share! My husband and I are planning to be out of town for an extended period this summer, and we are looking for a company to take care of yard maintenance at our home in the Niskayuna/Schenectady area while we're gone. We'll need mowing, weeding, and watering. Can the AOA readers give us any recommendations? This question comes up now and then, and the handful of answers usually ranges from small companies that are just one or two people to some of the larger services that employ crews of people. So, if you have a suggestion of a specific service for Sarah, great. Please share! We're also curious to hear if people have any thoughts or suggestions on what sorts of questions to ask or points to consider when hiring a yard service -- what the fee includes, how often/when the grass will get cut, that sort of stuff. As always, a sentence or two about why you're recommending a service can make a suggestion even more helpful. I am asking you, and your dear readers, to assist in finding a "crackerjack cadre of cleaners" for the area, that I would be proud to recommend. Please help. This question comes up every few years, and things change, so we figured the time might be right for a new set of suggestions. We're also curious if people have thoughts or advice on what sorts of questions or details to ask about when hiring a cleaning service. Go a suggestion for J? Please share. And as always, a sentence or two about why're recommending or suggesting a service can be a big help. 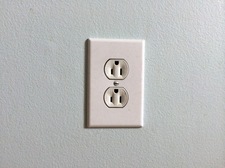 An electrician for a small home renovation project? We're doing some light renovation of a space in our house, taking out an old drop ceiling, and we're looking for an electrician to help with a few things. The biggest thing I think is moving some of lights that had been in the ceiling. Some of the wires will also probably have to be moved. Does anyone have recommendations for an electrician for a small project like this? We've had a similar question in the past, but it was years ago and things change. So, know of a good electrician for C's project? Please share. And bonus points for a sentence or two about why you're recommending that person or company. 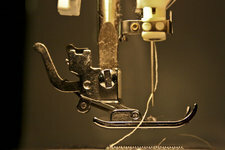 Where to get a sewing machine repaired? Can anyone point me to a good sewing machine repair shop? I don't mean new machines (most of which can't be fixed when they break) I mean old machines that are worth the effort. It seems like every year it gets harder to find a place to repair small appliances like this, in part because the cost to replace and the cost to repair are often about the same now. Lake Electronics used to be the place for this sort of stuff, but it's no longer in operation. Maybe there's a place for that specializes in sewing machines. Got a suggestion for Eric? Please share! Good contractor for roof repair? It looks like there's a leak in our home's roof, probably around where the vent for the plumbing sticks out of the roof. I have a feeling it's not a big or complicated repair, but I'm also not so confident about climbing out on the roof myself to fix it. So I was hoping people might have suggestions for good contractors for roof repair. 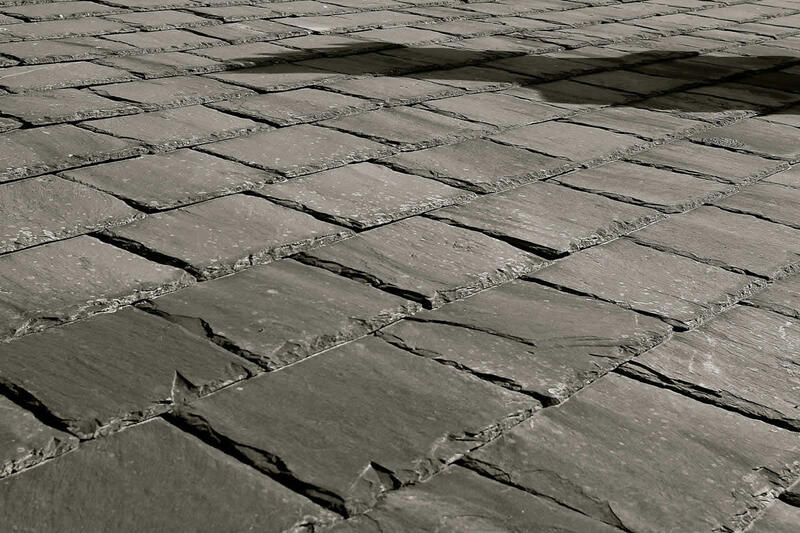 We looked through past questions and we've had one about slate roofers, and one about fixing the flat rubber roof on a historic home. But -- somewhat to our surprise -- it doesn't look like we've ever had a question about finding a roofing contractor for a "regular" shingle roof. So, got a suggestion for Anonymous? Please share! And, as always, bonus points for sentence or two about why you're suggesting that company. 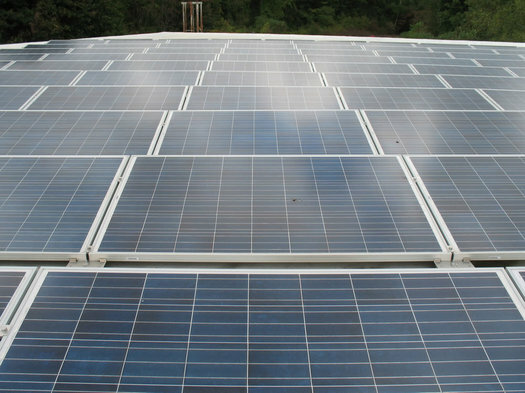 There's a boom in solar energy installations right now, including in the residential market. And all sorts of companies have popped up offering home installations -- we see reps from various companies around the Capital Region all the time. But most people have never hired a contractor for a job like this, so there's a lot to learn. The Solarize Albany campaign is on an approach developed by the Department of Energy (DOE) in 2007, supported by the New York State Energy Research and Development Authority (NYSERDA), and now being adopted by hundreds of communities around the Country. This is not a commercial venture. Rather it is a cooperative venture where purchasing is done on a bulk basis to bring down costs from a commercial installer. In addition, volunteers help people to understand solar energy. Public presentations are being scheduled, where questions about solar energy are answered. At these presentations, the specifics of how to request a solar proposal for your home are shared. The project has picked Apex Solar as this year's installer. There's a kickoff event for Solarize Albany at the The Linda July 9 at 6:30 pm. As mentioned, there are also the ongoing a Solarize Troy and the new Solarize Saratoga. Solarize Troy has a string of events and info sessions listed on its website. And Solarize Saratoga's official launch is July 8. 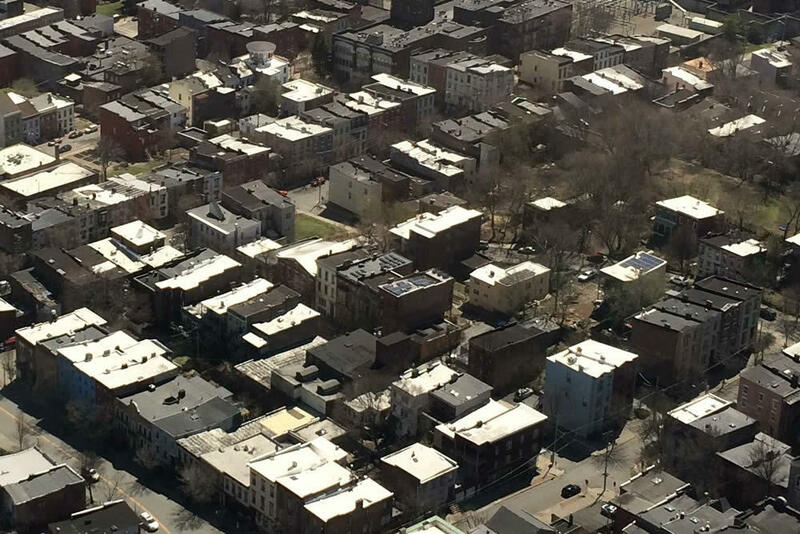 Earlier on AOA: Ask AOA: Residential rooftop solar options? 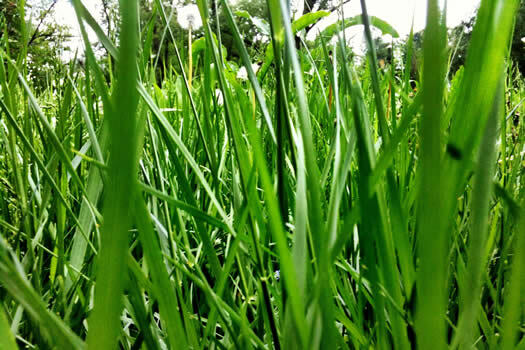 I am looking for a reliable lawn care service/individual in the area around Colonie Center. 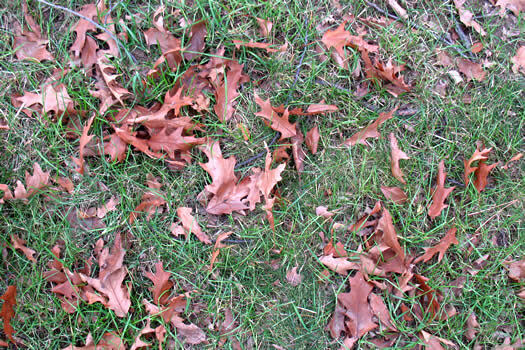 Basic mowing and fall cleanup. Can anyone suggest someone? Thank you for your help. It sounds like C. isn't looking for stuff like fertilizing or weed control -- just mowing, basically. It seems like there are a bunch of services out there that do this -- both companies and single-person operations. So, got a suggestion for C.? Please share! And we very much appreciate it when you include a sentence or two about why you're suggesting that company or person. I'm looking for a contractor and/or plumber who can remove a bathtub and replace it with a walk-in shower, grab bars and other safety features for a senior citizen. Sometimes the first step is just figuring out what sort of contractor you're looking for. So, in this case, we're curious if this a job that can be handled solely by a plumber, or if it's a job that would require someone more along the lines of a general construction/remodeling contractor. Got a suggestion for M? Please share! And bonus points for a sentence or two about why you're recommending that person or company. Contractor for building a patio? 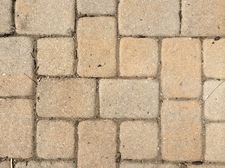 We're hoping to build a paver patio in our backyard, nothing too complicated or big, though it'll probably require leveling and raising a part of the yard a foot or two. So maybe it will also involve a short wall or something. We've had some bad luck so far getting contractors to call us back or show up for appointments for an estimate. I realize this is a busy time right now, but still. If you're not going to be able make an appointment, just call to say so. So, we were hoping people at AOA might have suggestions for good contractors for this sort of work. As always with these sorts of questions, if you have a company or contractor to suggest, we'll be awarding non-redeemable bonus points for a sentence or two explaining why you're recommending that company. Got a suggestion for Anonymous? Please share! 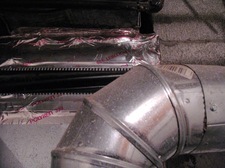 My wife and I recently purchased a home in Rensselaer County, and need to address the home's heating/cooling ductwork. The system needs to be inspected/sealed (I will do the insulating myself). Can anyone suggest a good-quality business for this type of work? We had a sort-of-related question last year, but it looks like we haven't had general question about good home heating/cooling contractors in a while. So, got a suggestion for Dan? Please share! Your favorite place for quality local finished compost? Building a few new beds. I need way more than I make. As Ginny noted in a follow up, "Sadly not all compost is equal." It's not a bad idea to know where the compost is from, and what's (generally) gone into it. So, got a suggestion for Ginny and other gardeners? Please share. 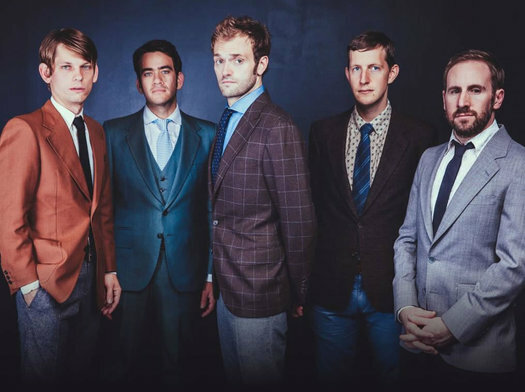 The Punch Brothers, who are apparently going through a sport coat phase. The Green River Festival returns to Western Massachusetts July 10-12 this year. Early bird tickets are now on sale through April 17 -- they're $79.99 for all three days, single days are $19.99 (Friday) and $59.99 (Saturday and Sunday). The lineup is also now out -- headliners include Steve Earle & The Dukes, Punch Brothers, tUnE-yArDs, Preservation Hall Jazz Band. The full lineup, which includes a bunch of acts you'll recognize, is post jump. And in something a little bit different for an event like this, the festival also includes hot air balloon launches Saturday evening and Sunday morning. The festival is in Greenfield, about a two-hour drive from Albany. Doing an interior gutting of our new property, my husband and I found that our wood-frame house is actually a wooden exterior with an interior lining of brick! Our demo guy said he had never seen a house like this. 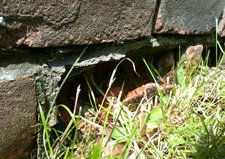 I am looking for a mason to replace any missing bricks and repoint as needed. "I've never seen something like this" isn't always the best news from a contractor. 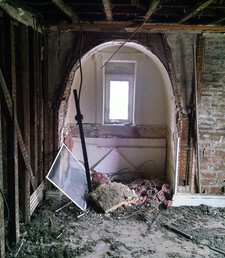 The photo on the right is one that Jessica sent along of one of the bedrooms during demo. Got a suggestion for Jessica? Please share! Help with restoring an old front door? As we've said before, there a bunch of old houses around here, so someone's surely to tackled this job before. Got a suggestion for Maisie? Please share! 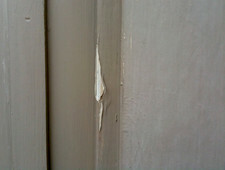 Earlier on AOA: Ask AOA: Help for fixing old windows? 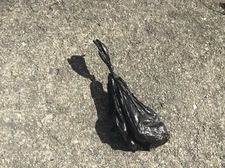 I was wondering if the readers might know of any good pooper scooper services in the Colonie area. 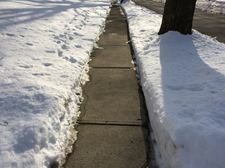 The snow on the ground hasn't allowed for cleanup for at least the last month. The snow is now melting but I just broke my ankle and won't be able to get out to do it myself any time soon. Any suggestions are greatly appreciated. Thanks! A while back a bunch of these services popped up around the area -- Jess wrote about one of the first, the Delmar Dog Butler. Since then we haven't heard about much about them. So, got a suggestion for Mike? Please share. And bonus points for a sentence or two about why you're recommending that service. 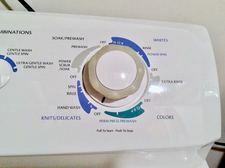 Was wondering if you had somebody to recommend for repairing a washer. Mine is trying to commit suicide ... (Alternatively, if you bought one recently, and would recommend a brand). Thank you. As with any sort of question like this, we're awarding bonus points for a line or two about why you're recommending that person or company. 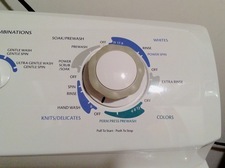 So, got a suggestion for -S and his washer? Please share! Earlier on AOA: Ask AOA: Good place to shop for appliances? Advice for fixing old lath-and-plaster walls? 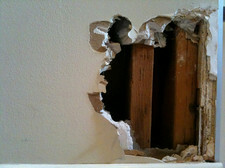 Does anyone have suggestions for a contractor that can repair lathe and plaster walls? I have part of one wall that has sustained water damage from leaky chimney flashing and another wall where some of the final smooth coat has cracked apart. I've done some research and know that some contractors suggest tearing it out to the studs and replacing it with drywall (which would also give an opportunity to put in some insulation on the outer walls). I like the plaster walls because they're thicker and more substantial than drywall, and provide good sound dampening between rooms. The idea of just ripping them out seems counterproductive (and quite frankly, a waste) to me. However, I realize repairing them is probably a lost skill and not many people do that anymore. Any suggestions for contractors or input otherwise would be greatly appreciated. This area has a lot of old houses, so we're guessing there are contractors who do this sort of work. But, as with most things that aren't common, it might end up costing a lot. So, got advice or a suggestion for Matt? Please share! Help with a demolition project? I'm looking for a local demolition crew to take down old walls and some ceilings down to the studs in a turn-of-the-century house. Some walls are lathe and plaster, some are covered in paneling or dry wall. So, got a suggestion? Please share! Advice for dealing with house's water line problem? First Thanksgiving in the new house and the main water shutoff in the basement started to leak. It is a slow leak at the moment and a bucket has doing the job. 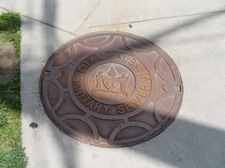 Wondering if any readers have had experiences in Albany with having the water shutoff at the curb box to repair the main water shutoff? I called the City and was told that I would be responsible for any repairs of the curb box shutoff if there are any issues when the water is turned off. This kind of stuff can be complicated (see an earlier question about a sewer problem), expensive, and stressful. Got advice for Shawn? Please share. A good company/person for drywall work? I live in Albany and have an upcoming renovation project and would love nothing more than to pay someone else to do the drywall work. In the past, my wife and I enjoyed learning + doing it the first time, grumbled our way through it the second time... and are now loathing the prospect of having to do it a third time. Would any of your readers happen to know a person or company they could recommend that might be able to spare us from this misery and gladly take our money??? Please please please! Sometimes the lesson of a DIY project is that you shouldn't do it yourself. And there's nothing wrong with that. So, got a suggestion or advice for Sean and his wife? Please share! 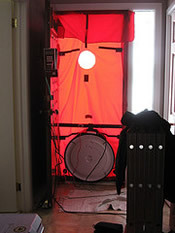 A contractor for mold remediation? We just bought a 2nd property to flip for apartments, and the basement ceiling beams are covered with multiple types of mold. We were initially going to do the clean up ourselves, but my allergies can't handle it (even when using a respirator). This is something I want to bring in a professional for. 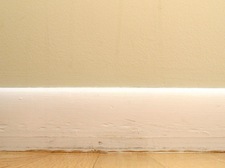 Can the AOA readers recommend any good mold remediation companies? We want someone reliable and affordable. Got a suggestion or advice for Jessica? Please share! We just opened up a wall between our Kitchen and Dining room and the new view and copious amount of daylight is spectacular!!.. well, except for that ugly metal heating duct. So with that in mind, I was wondering if any of your readers could recommend someone who could help relocate that duct-work to somewhere much less visible. Thanks! Having never done something like this, we're curious if you can just call a typical heating/cooling contractor for something like this, or whether it requires a company with a different set of skills. Contractor for matching historical building style? I'm buying a victorian-style house in Troy soon and would like to have a garage built. I would like it to match the style of the neighborhood so I'm envisioning a cinder block garage, possibly with a brick facade. Can anyone recommend a good mason or whoever does this kind of work? We had a similar questions earlier this year, but it was focused on indoor carpentry work. As we said then, there are so much old houses in this area, there have got to be companies that can building something to fit with the style. Got a suggestion for Omar? Please share! 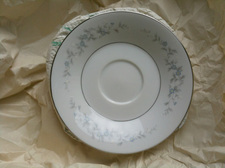 What to do with old chinaware? I'm currently in the process of un-stuffing my house, and some of that stuff is old china that found its way to me from various family members. I can't imagine ever using it, but I'm not sure what exactly to do with it. I looked online and it appears that at least some of the stuff has some value. But really I'd just be happy for it to go someplace where it's used and appreciated. Any suggestion on places in the Capital Region where it could be sold or donated? There is probably so much stuff like this in so many attics and basements. Got a suggestion for PR? Please share! Suggestions for dealing with lead abatement? We just bought a house, and discovered that there is very badly chipping lead paint on a couple of radiators in our house. Could some of your readers recommend a good lead abatement specialist to come and paint this for us? We had also considered sandblasting and powder coating them, but that is looking like a lot to organize: A plumber to uninstall and reinstall, someone to move very heavy objects, the sandblaster, plus it is getting cold and we don't want to be without heat for the next month. It just got overwhelming. We have a nine-month-old baby in the house so we want to make sure that it is done well. The house is almost all wallpaper and finished wood, so lead isn't a huge concern in the house otherwise. Thanks! There are a lot of old houses in this area, so there are certainly people who have also encountered this issue. Got a suggestion for Sandra? Please share! This one comes from AOA Mary. We'll blockquote. Because tradition. We're looking for someone to replace our roof. 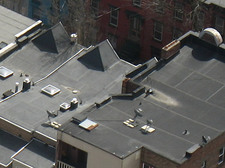 It's a flat, rubber roof on an historic home. Anyone have suggestions for roofing companies? There are a lot of roofing companies out there. But we're curious if there are companies that specialize in non-shingle roofing. Have a suggestion for Mary? Please share! Recommendations for hardwood floor refinishing? We've recently purchased a Victorian home approaching it's 150th birthday! We'd like to have the original hardwood floors refinished and restored to the beauty underneath years of use - can readers recommend someone for the job that is knowledgeable about homes built in the 1800s or specializes in restoration? We're curious if there's a difference between refinishing 150-year-old hardwood floors and, say, 50-year-old hardwood floors (or younger). You know, are there a lot of quirks of very old floors that make them different to work on? Got a suggestion for Courtney? Please share! And non-redeemable bonus points for a quick line or two about why you're suggesting that company or person. 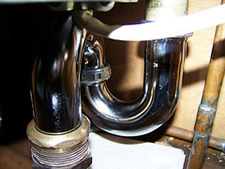 Adapters for olds sinks with hot and cold faucets? I have a very specific question that I hope you can post for your readers. I am renting an apartment that has a period sink with separate hot and cold water faucets. Although it is nice to have the antique sink and it fits with the feel of the 19th century building, warm water to wash my face would be nicer. 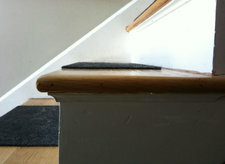 Does anyone (maybe those who own/have renovated old brownstones) know if there is a temporary solution to this problem? I'm hoping to find a place that sells an adapter piece to bridge between the two faucets? (I've seen such a thing online, but have been unable to find any place that sells it, online or otherwise). I'd even be interested in reaching out to a local business that would be willing to craft an adapter. Any suggestions for that? 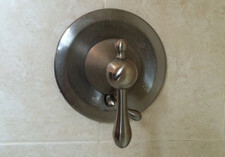 As I am renting, replacing the sink or faucets unfortunately is not an option. This area has a bunch of older houses and apartments -- many that include old fixtures -- so Nicole can't be the first person to want to do something like this. Recommendations for a complicated/big plumbing job? 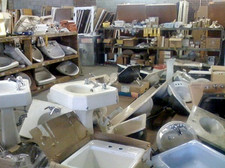 Of course, we have a lot of research to do - were repairs ever made in 2007, gather estimates, weigh our options. Here's where I need help. This is a big job. The city's website is a shell of a site and offers NO information on who to call or where to start. We tried calling an information number but there was no answer. What have other residents done in this situation? Who do they recommend? As mentioned, her whole message is post jump and includes some important details. Ashley says she's only owned her house for about a month and this sounds like a stressful situation. So suggestions or recommendations could be a big help. I am thinking of going solar on my home... do you have any information on which company, or companies, offer the best deals and have proven most reliable in the Albany area? We're very curious to hear people's thoughts and suggestions on this question. The rooftop solar industry has been booming recently thanks in large part to a steep drop in the price solar panels. And just anecdotally, we've noticed panels showing up on a bunch of local houses and businesses. There seem to be roughly two models for getting panels on a house: buy the panels outright and have the installed -- or pay little or nothing upfront for installation, and then buy the power from the panels at a fixed rate from the installing company. So, experiences or thoughts for Mary? Please share! 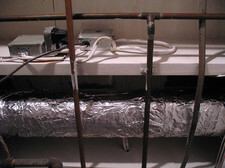 Experience with home radon mitigation? Quick background: Radon is a radioactive gas that's released from rock and soil, and in some cases, it can get trapped by a house, especially the basement. Sometimes the levels are high enough that it's a health threat (radon exposure can cause lung cancer). Here's an EPA page with radon info. There are test kits for radon, and you can get one for under $10 from New York State. In cases where radon might be collecting at dangerous levels in a house, modifications can be made to mitigate the problem. Here's a state Department of Health checklist for questions to ask contractors. So, all that said, anyone have a suggestion or experience to share with Carl? Please share! A good contractor for installing gutters? 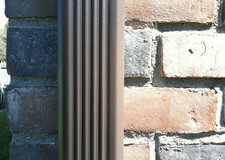 Any chance you could post a question to your blog for recs on local residential seamless gutter installers? 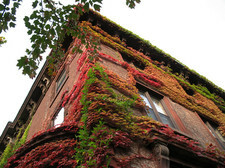 Gutters are one of those things that might seem like kind of a boring thing for your house. And, you know, they're not exactly a "wow" kind of home improvement. 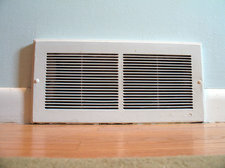 But they can make a difference in keeping water out of your basement or away from your foundation. So... got a suggestion for Terence? Please share! A company for installing house insulation? 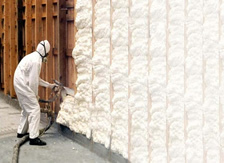 Based on what we've seen on, um, HGTV and a little bit of what we've read, spray foam insulation is said to do the job very well, better than other types of insulation. It also looks like it's a whole process, with installers wearing ventilated suits and whatnot. 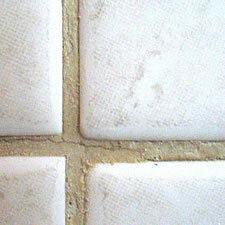 A good contractor for tile? I am planning on selecting and installing a custom backsplash in my kitchen this spring. Can the readers suggest a company or a contractor we should consider working with? It's been a while since we've had a kitchen/bathroom contractor question. So, got a company to suggest? Please share. Non-redeemable bonus points for a quick sentence about why you're suggesting that company. Do you think you could do another post on cleaning services around here? I am looking for someone to do a really good deep cleaning job on my parents' kitchen. I saw a post from 2010, with lots of good feedback about the Ecomaids, but it looks like they don't exist anymore! Even Yelp only gives you two or three options -- any help appreciated. It's our understanding also that Ecomaids is no longer operating here. Got a suggestion for Lauren? Please share. And as always, a quick sentence about why you're suggesting a certain company can be very helpful. A good house exterior painter? We wonder if you could ask your readers for recommendations on a good house painter for the exterior of brownstone-type row houses. Someone who can also do minor repairs on the wooden cornices. 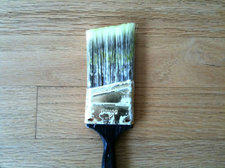 Summer painting season will be here before long and we'd like to line up the job now. Getting the jump on this sort of stuff now is a good idea because sometimes the schedules of contractors fill up fast during the spring and summer. So... got a suggestion for Chuck and his house? Please share! Contractor for a historic home? Hi guys at @alloveralbany. Looking to repair inside stairs in downtown Albany brick row house. Built c. 1890s. Any suggestions? Contractors pls. Definitely more than I can do. Would prefer to repair rather than replace depending on cost. Tks! We've had handyman and contractor questions before, but it's been a few years. And we're curious if maybe there's someone with specific experience doing repairs/renovations in older homes. Example: Maybe someone who would be better at restoring something that's true the house's original design, if that's what June is after. There a bunch of century-old (or older) homes in this area, so we're guessing there are people with this sort of experience. 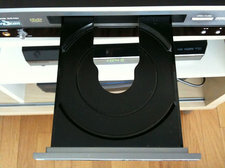 Do your readers have a recommendation on electronics repair places? We've had similar questions in the past, and the answer that often popped up was Lake Electronics on Central Ave -- and with good results, apparently. Unfortunately, Lake closed last year after 60 years in business. So... anyone got a new suggestion for Martin? Please share! (+) Inherited antique chairs from grandmother. (-) One leg broke off in transit. Recommendations for repair services welcome! A lot stuff these days is either not well made to begin with, or just so cheap, that it doesn't end up getting repaired. But it's worth it for something like this -- even if it might be hard to find a shop. So, got a suggestion for Andrea and her chair? Please share! + A place to get furniture re-finished? 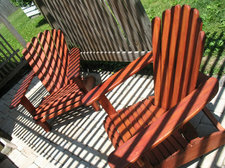 + A local Adirondack chair maker? "An instantly and vastly improved [snow] shoveling experience"
One of our favorite new(ish) websites is The Sweethome, a testing/review/recommendation site for home products. (It's from the same people behind The Wirecutter.) What makes the site so good? Well, they pour a bunch of time and effort into reviewing products to find the one they think is the best, and then explain their choice in detail. So we were interested see The Sweethome's recommendations for snow shovels, out today, the result of "over 25 hours of research (most of which was spent reading studies on shoveling ergonomics) as well as 19 total man hours of actual snow shoveling." Its pick isn't that surprising -- it also happens to be our snow shovel of choice -- but their recommendation of an aftermarket secondary handle for the shovel caught our eye. 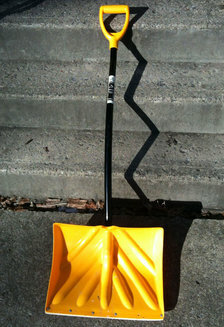 But while the True Temper is a good shovel in its own right, adding the Stout Backsaver really made a big difference. And not just for the True Temper; you can add one of these to just about any shovel you already have lying around for an instantly and vastly improved shoveling experience for about $13. As one tester put it, "this thing can turn any old piece-of-sh*t shovel into a decent tool." After testing was completed, everyone in the focus group asked where they could purchase one. The whole review is worth reading/skimming if you shovel a fair amount of snow -- it includes discussions of different models, ergonomics, and a few interesting snow shoveling facts. A good painter, especially for spaces with high ceilings? Hey @alloveralbany! know of any local painters in the Troy area? 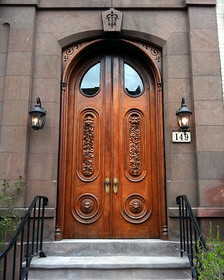 Brownstone = high ceilings, looking for references, available in January, insured (this is all new to us). We had a similar question last year, but things change. And maybe there are some suggestions for Troy-area painters, or painters with particular expertise in working on spaces with high ceilings. Got a suggestion for Jona? Please share! A company for air duct cleaning? Hey @alloveralbany -- can your readers recommend a good company that cleans heating / AC ducts? Thanks! So, got a suggestion for Elisabeth? Please share! Ok, so thinking ahead, I don't see an Ask AOA on chimney sweeps. I'd love a name of someone in Alb who cleans & does masonry. This may sound like one of those jobs from 1890 or something (and, you know, it was... and it wasn't also chim chim cher-ee). But it can be important for a modern chimney that still gets used. Residue builds up over time and it can be a safety issue. So... got a suggestion for Val? Please share. A few weeks ago, someone asked for recommendations for a reputable home inspector who specialized in old homes (they specified farmhouses). As luck would have it, a few weeks later my husband and I found ourselves needing a reputable home inspector with experience looking at old homes. Your readers' recommendations were unbelievably spot-on. The inspector we chose (Peter Shaming of Excelsior Home Inspections if I may be specific) was incredibly thorough, knowledgable and professional. He found things that had been missed on a previous inspection and even managed to impress the two engineer team of my husband and father-in-law which is not an easy task. Well, with all that- one of the things he found was a small amount of old asbestos wrap around some ductwork in the basement. We would like to get it professionally removed and are looking for recommendations. Your readers gave us awesome guidance the first time, does anyone have any reputable and licensed asbestos abatement contractors they would recommend? First off, it's great to hear those earlier answers were helpful. +1 to everyone who offered a suggestion. Now, onto Emily's question: Have a suggestion for a good company to handle this asbestos issue? Or maybe your house also had a similar asbestos situation and you found away to address it without removal? Please share. Contractor to fix a wet basement? I'm looking for competent, reliable contractors to fix a moisture problem in our basement. I'm aware of two companies in our area: Adirondack Basement Solutions and Kinetic Basement Solutions. Can you post a request on the web for readers to share their experiences with these companies, as well as any recommendations for others to contact? There seem to be a lot of companies that advertise services to address this problem, but we get the sense that wet basements can be tricky. And sometimes fixing the problem goes beyond the basement itself -- to things like gutters. So, got a suggestion for Anonymous? Please share. My husband and I are looking for a good home inspector: someone who walks you through everything and explains things thoroughly. Specifically if anyone has experience with old farm houses, that would be preferable. The specific "old farm house" part might be a little hard to find, but there are certainly home inspectors in this area that have plenty of experience inspecting old (and sometimes really old) houses. So, got a suggestion for Cheryl and her husband? Please share. You'll win our respect and admiration if you're specific about what you're recommending a certain home inspector. From the boring-but-important file: If you own a home and get a Basic STAR property tax exemption (and most people do) you need to register with the state tax department by the end of this year -- or lose out on the tax break for next year. Here's the online registration link. The registration requirement is part of legislation for the most recent state budget -- it's aimed at cutting down on people claiming inappropriate exemptions. After registering this year, it won't be necessary to register again. As the state Department of Taxation and Finance explains: "based on the information provided in the registration process, the Tax Department will monitor homeowners' eligibility in future years." 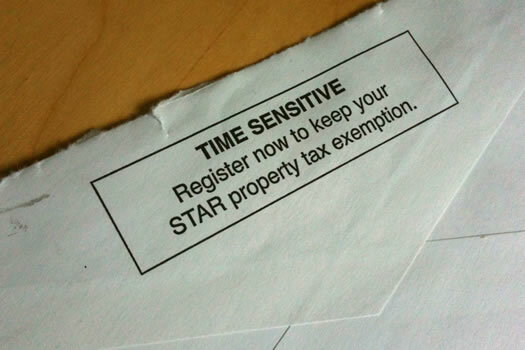 The tax department announced this week that it's sent out 320,000 letters to homeowners getting the Basic STAR exemption in northern and eastern New York, so you'll probably get a letter soon, if you haven't already. (We got ours today.) The registration requirement doesn't affect the Enhanced STAR exemption for senior citizens. The Basic STAR exemption exempts the first $30k of the full value of a home from school taxes, so it can be worth hundreds of dollars. It's available to owner-occupied, primary residences where the resident owners' and their spouses income is less than $500,000. Fix or replace an antique lock? Our house was built in 1880 and has a Corbin lock on the front door. The cast iron box that fits inside the door has some broken sections so it's no longer functional. 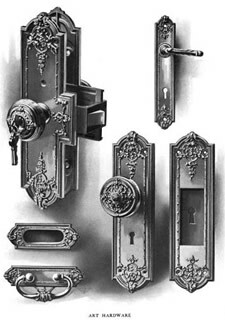 Our locksmith says that there were many different Corbin locks and it's almost impossible to find a match in a working lock... but the alternative is to get rid of all our antique hardware and replace it with a modern lockset. So naturally I want to try finding a replacement. We weren't familiar with Corbin locks, so we did a little poking around on Flickr -- and some of the examples that turned up are beauties. We can understand the desire to either fix or replace it with something similar, especially on a Victorian-style or other older home. So, have a suggestion for where Otis can find someone to either fix this lock -- or, more likely, a place that might sell a similar replacement? Maybe someplace that specializes in working on older homes? Please share. 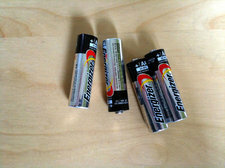 I have a question for AOA: do you know of anyone around here that does battery recycling? OK, so the answer to this question is: it's a little bit complicated. And you might have a suggestion that could help. i'm trying to find someone who does window repairs in Schenectady. 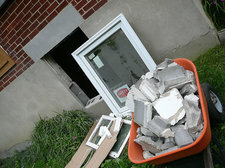 There seem to be plenty of companies willing to replace your windows - but none that I can find that do repairs. Anyone know of any awesome handyman service or window repair specialist they are willing to recommend? We have some casement windows that need repair - leaking water (in this torrential downpour rain we've been having). Thanks. 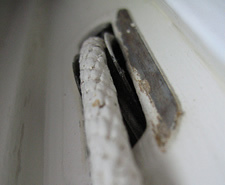 We've had a question before about fixing really old windows -- like, almost a century old. But Christina's question is a bit different. And it'd be great to help her find a way to fix rather than replace. Have some insight? Please share! A hypothetical "small living room." Useful: The Lighting Research Center at RPI has launched a website with a bunch on information on lighting homes. 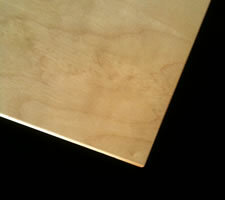 The site includes patterns for lighting spaces, as well as details on different types of fixtures and bulbs. That might not exactly light you up (oof), but lighting can make a big difference. 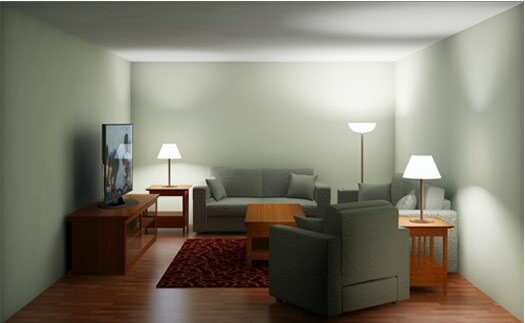 Switching out the harsh ceiling light in the middle of a room for lamps can make the space feel a lot better. The most interesting part of the site for us is the section that includes an interactive calculator for comparing the cost and energy use of different lighting sources in a room. The calculator lets you change the numbers around based on variables such as usage and wattage and anticipated life of the arrangement. 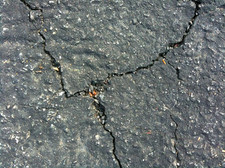 Our driveway is in need of some attention this spring, can you recommend a good sealcoat/paving co. in Albany? At some point during the summer crews starting moving through neighborhoods, knocking on doors pitching driveway fixing/re-sealing. We gotta admit we're skeptical of the "hey, we just did your neighbor's driveway" pitch (maybe unfairly). So some solid suggestions could be a help to Gary and others. Got someone you can recommend? Please share! Where to get top soil, mulch, gravel? 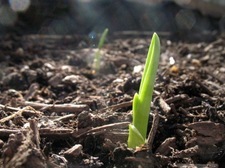 Can you ask your readers where is a good place to find good top soil in the Troy, NY area. You can get stuff like top soil, mulch, and gravel from a garden center or one of the big hardware stores, but you're usually going to be buying it by the bag. If you have a bigger project, often the best way is to have it delivered to your house -- it can be both cheaper and easier. The truck comes to you and dumps the dirt/mulch/gravel in a a big pile. 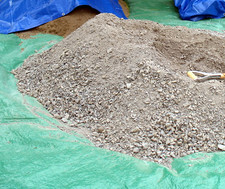 So, we'll extend Mike's question a little bit to include mulch, gravel, sand, rock, all that sort of stuff. Suggestions for either garden centers or delivery? Please share. Bonus points if you can provide details about price or ease of setting up delivery. The Cornell Cooperative Extension of Schenectady County has a morning of spring gardening workshops lined up for April 6 (a Saturday). It looks like it could be a good way to get up to speed on starting a garden. Easy scan descriptions are after the jump. If you sign up for all three, the fee is $15. The classes are at the Sustainable Living Center in Schenectady's Central Park (the greenhouses). Call 372-1622 for more info and registration. Getting a basement egress/exit installed? We are looking to make the most of our house and would like to fully use the finished basement. In order to do so, we need to add an egress. Has anyone had this done recently, and if so, any recommendations on who to use? Basically, an egress is a way to get out the basement in case of a fire. It's often a code requirement, especially if there's a bedroom. So, have you done something like this? Is this a general contractor job, or does Zach need to find someone who specializes in doors/windows/basements? Please share. We built a house and need a lot of painting done and you were the first place I went to for painter recommendations. You had a post about general contractors, but nothing about painters. 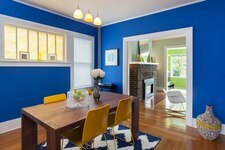 Could you post a request for good interior painters? Know of a good paint to suggest to Amy? Please share! And please explain a little bit about why that person is good -- attention to detail, fair price, whatever. I have three small pieces of furniture that I am looking to have refinished. I have not lived in the Capital Region that long and don't know where to start looking for some place in the local area that comes recommended. ... Perhaps your readers might be able to recommend someone they have used in the past. One of the pieces also needs to be reupholstered eventually too...so any recommendations for reupholsters would be great too! 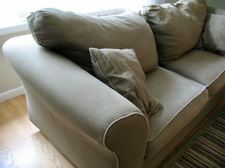 We had a re-upholstering question about a year ago -- and there were a few suggestions then. But this is the first time someone's asked about re-finishing. I have a few projects I need help with. Removal/replacement of deck, shoring up a porch, basement windows, kitchen counters. Also maybe wood window restoration and an indoor painter who can deal with removing lots and lots of nightmarish wallpaper. If anyone is or knows a good general contractor please share. PLEASE. This is a question that comes up all the time. And it's definitely worth asking around for referrals and talking with people about their experiences. A lot of contractors do a good job, but there are definitely some out there to avoid. So, anyone have suggestions for Valerie? Please share! A local Adirondack chair maker? We just finished a deck, which is giving huge enjoyment. What it needs to be complete, though, is a really good Adirondack chair. I'd like to find one made locally, ideally by a craftsperson; ideally from ipe but I could live with other woods (not pine or cedar!). Anyone have suggestions? Thanks! Got a suggestion for Ewan? Please share! 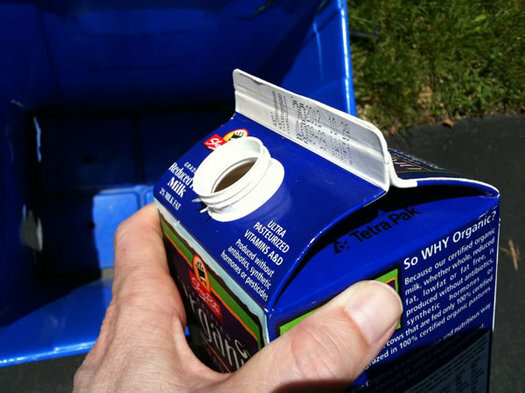 Milk cartons: recyclable or not? When we retrieved our recycling bin from the curb last week, we noticed that a milk carton had been left behind -- with not a can or bottle to keep him company. Hmm, we thought -- aren't those recyclable? We mentioned the question on Twitter -- and the consensus was: yes... no... maybe. Other people had the same question. How to move a piano? My wife and I just moved, but the one item that we couldn't manage was our piano. We're not related to any football players or bodybuilders, and there are more than one flight of stairs to contend with, so none of our moving posse felt comfortable taking on this challenge. So, that leaves us searching for an alternative solution. Do you or your readers have any tips for not only getting this thing out of our former residence, but into our new one as well? Are there still piano moving services? Or any advice for Sean (aside from lift with your legs)? I always read the ask aoa articles and just bought a home with an in ground pool. 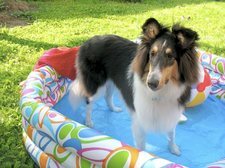 I know nothing about pools, could you recommend someone local for service? I'm in Albany if that helps. Or, if not a pool service, maybe a place where he can get some help learning about the stuff that needs to be taken care of. Got a suggestion of Alex? Please share! I am looking for a hard scape company that can terrace a hill for my parents. Any good leads on people that do that? Any suggestions for Jim and his parents? Please share! It feels so much like May we keep having to remind ourselves that it's still only March. And we're not the only ones who are confused. Outside the downtown office the tulips are already starting to sprout and trees are beginning to bud. We're happy to have ditched our winter coats and we'll take any excuse to break out the flip-flops, but we're wondering what all this unseasonably warm weather will mean for Albany's tulips -- and other the flowers and plants. 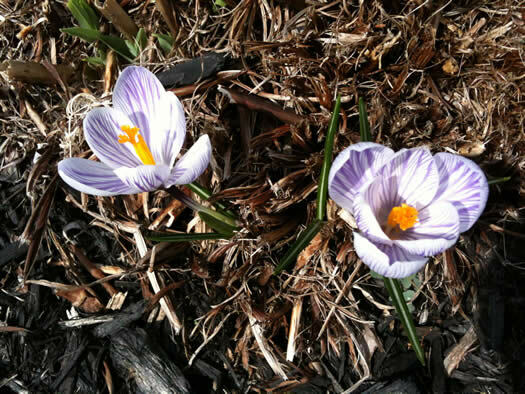 So, just bonus springtime for gardeners -- or (cue ominous music)... cause for crocus concern? Help for fixing old windows? 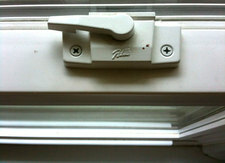 I am looking for someone to repair old windows (weight and pulley, 1920s type.) I know this is a good "do it yourself"-er, but I am not at all handy. Anyone out there have a recommendation? There are a lot of houses/apartments in this area that still have these types of windows. And, speaking from experience, when they get stuck or broken, it is frustrating. 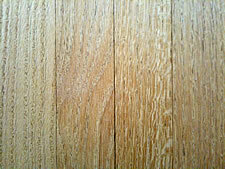 A good hardwood floor installer? I need the best hardwood floor installer in the 518. We'll expand Doug's question a little bit to include hardwood floor refinishing -- often companies do both installation and refinishing. Where to go for gardening classes? Do you guys know where I can get the scoop on some vegetable gardening classes? 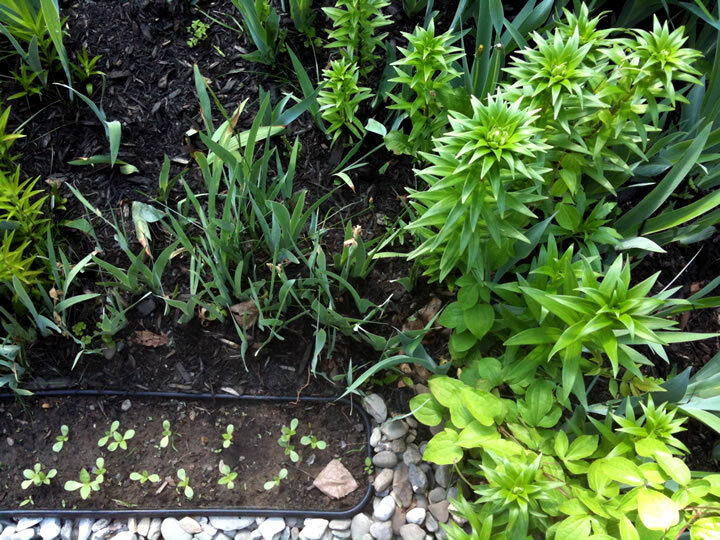 A few ideas that occurred to us: Capital District Community Gardens has offered classes in the past. And we've also seen classes listed from the local branches of the Cornell Cooperative Extension. But we haven't seen specific classes listed for this year, yet. Got a suggestion for Julie? Please share! Internet service options that are not TWC? For a while there, it looked like Verizon FiOS might provide some competition. But the roll out of the fiber service beyond a few spots in this area seems to have slowed to a halt. A good handyman or contractor for stuff around the house? My husband and I are getting ready to move and need some small handyperson type jobs done around the house like fixing a small hole in the detached garage roof, putting some trim on our laminate floors (a DIY project which got waylaid), and small painting projects. Know of a good handyperson or contractor who might be able to help Gretchen and her husband? Please share! I would like to know if somebody can recommend a good, clean laundromat in the Latham- Troy area where we can wash a large, white comforter? If have a suggestion for Jeff, great, please share. 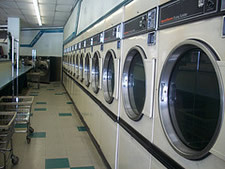 And if you happen to have a favorite laundromat outside the Latham-Troy area, we'd love to hear about that, too. Update: The Drawing is now closed. Thanks for entering. 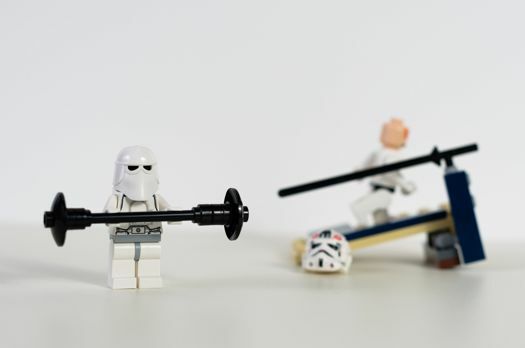 So we're nine days into the new year, and lots of people are working away at those resolutions. Or, you know -- not. We've put together a little package to help someone out there get up off the mat and make some changes in the new year. + Recenter Square: A $300 gift certificate for either personal training, pilates reformer sessions or group classes. + Spa Virgo: A one hour Swedish massage and 30 min mini facial. + A gift certificate for you and 5 friends to see The Mop and Bucket Improv Company Underground at Proctors. What are you resolving to change in the new year? What would you like to see happen in the Capital Region this year? Important: All comments must be submitted by noon on Wednesday (January 11th 2012) to be entered in the drawing. You must answer the question to be part of the drawing. One entry per person, please. You must enter a valid email address (that you check regularly -- seriously, if you win, we want to give you your stuff) with your comment. The winners will be notified via email by 10 am on Thursday and must respond by 5 pm that day. 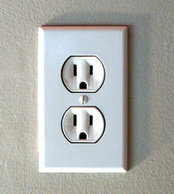 Does anyone have any reco's for a residential electrician in Albany? Got a suggestion for Michael? Please share! + Ask AOA: A good plumber? + Ask AOA: Contractors for an energy audit? 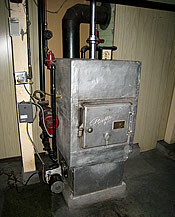 + Ask AOA: Furnace cleaning and tune-ups? 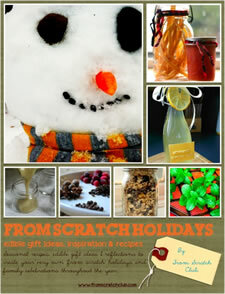 This is good: the From Scratch Club ladies have put together a downloadable holiday recipe/idea book. And it's free. Coined 'from scratch holidays', we wanted to dedicate most of November & December's content to various seasonal recipes for your holiday table, edible gifts and reflections on the holiday season as a whole. We have more to come, including radish toasts, DIY coffee creamer, beef jerky, dark chocolate covered candied orange peels, Kahlua marshmallows & hot chocolate set, fudge, cheese plate "class", free printable gift & canning labels and much much more! But first we have something exciting to share. A few of the bits that caught our eye: the All Good Bakers recipe for cinnamon buns, as shared by Britin; and how to grow windowsill garlic greens, as explained by Dianna. Contractors for an energy audit? I'm going to schedule a home energy audit in the near future. I contacted NYSERDA and I was approved an audit award. Now I'm looking over the list of NYSRDA approved contractors. The Capital Region's list is long, and I don't want someone who's only goal is to pressure me into buying services and products I don't really need. Does anyone out there have recommendation this area' listing? Got a suggestion for Martin? Please share! + Keep up with the Joneses? Pfft. Beat 'em. Contractors to fix a broken or warped walkway? 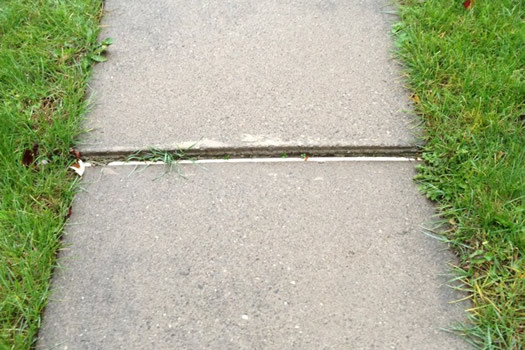 I've got a sidewalk that looks like this in two places. It's my front walk, not a city sidewalk. Any suggestions on who to call to repair it? 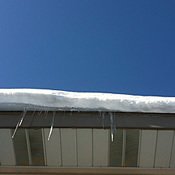 That looks like it could be a trip-and-fall waiting to happen -- especially as things get icy. Got a suggestion for Mark? Please share. 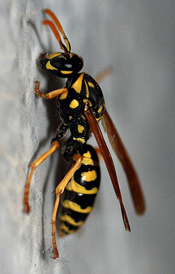 I know you covered mice issues a while back but we have a wasp nest we can't reach with death spray and we're trying to find a good exterminator to come and destroy the little yellow jacketed ninjas who keep creeping into our house. Any suggestions? A ninja infestation? Could be tricky. Got a suggestion for Miriam? Please share! Perhaps @alloveralbany can help me find someone who reglazes tubs & tiles in the Cap District? or some DIY guidance? We're guessing that companies/skilled tradespeople who do tile might also do some re-glazing (basically) -- or, at least, be able to offer a good referral. Got a suggestion for Jen? Please share! 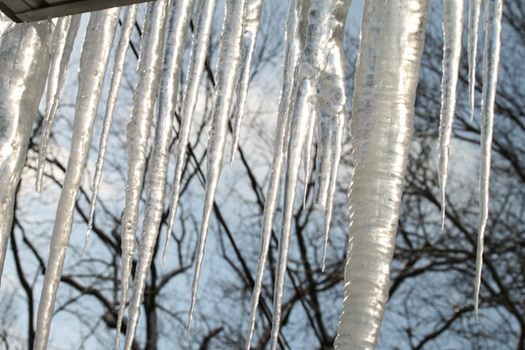 We've had our share of icicles at the Lerner household this winter -- and all the work involved with removing them, breaking up ice dams, and removing feet of snow from the roof has taken much of our free time. And we know we're not alone. The Capital Region has seen its share of home, barn and sports dome collapses because of snow. The press had a field day with roof rake stories. And James recently asked for recommendations for contractors for roof snow removal. So, I talked with local home inspector Lawrence McGann of Spire Inspections for some winter home maintenance tips... because belaying my husband as he digs away at snow on our roof was fun, at first. You guys have been very helpful with plumbers, electricians and mechanics. Ideas on good contractors for roof snow removal? Got a suggestion for James? Please share! Does anyone know a good/trustworthy plumber in the Schenectady area or one is Albany that will travel a bit? I have 2 toilets that are running constantly, a broken faucet, and a crappy old sink that needs replacing. After a crazy high water bill I am finally going to stop procrastinating about it but I don't really want to just pick a name from the yellow pages. The last time I did that I got a drunk Jerry Garcia look-alike that told me the reason my water suddenly smelled like rotting garbage was because I live in Scotia. Not entirely untrue, but I need someone with a more scientific? approach to plumbing problems. Any recommendations? We called Crisafulli for an acute plumbing problem (broken pipe) awhile back. They responded promptly and fixed the problem, at what seemed like a fair price. But there are a lot of plumbers out there. Know of a good one for Chrissy? Please share! My tenant downstairs is victimized by one very persistent mouse. 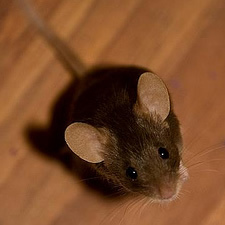 We have tried poison traps, glue traps, good old fashioned spring-loaded-*smash*-in-your-face mousetraps, to no avail. Either this mouse is a mensa-certified mutant, or I'm doing something wrong. In any case, it has to go (please). Besides carefully storing food away, I'm considering an exterminator or letting my tenant adopt a cat; pets are a responsibility, but she would like to have one and found a feline online that could be a non-carpet-destructing mouser. Any recommendations on exterminators? Or "exterminator vs. cat, the smackdown"? The Capital Region has a lot of old buildings. And old buildings very often have mice. There's gotta some serious collective wisdom out there for dealing with the critters. So, any tips or suggestions for Sebastien? Please share! 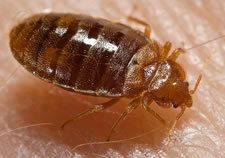 I'd like to ask readers about local resources for getting rid of bedbugs. Wondering, too, how anyone locally has dealt with the experience of having them, how they approached getting rid of them, and what they wish they had done differently. We had a feeling this question might pop up eventually. And, frankly, it kind of gives us the willies. So, anyone have suggestions for Anonymous? Please share.